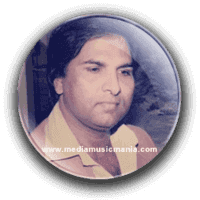 Akhlaq Ahmed Pakistani Singer was great Artist in the History of Pakistan. He sung lot of great Filmi Music songs in Pakistani Film Industry, he was great legendary Artist and he created great name in Pakistan Music. Akhlaq Ahmed sung Pakistani Folk Music, Pakistani Classical Music, Pakistani Pop Music. He was started his singing in Pakistani Filmi Mousiqui. His song tally is under hundred songs. He enriched the world of music and enthralled the audiences with his masterful artistry and he was very popular his great talent, and he is well known and famous among masses. His singing style in Ghazals Popular Music was hit and peoples like his songs forever. He was Super Hit Hero of Pakistan and her singing style is very different from other singers, such as Sonu Nigham Indian Filmi singer sung lot of songs of Akhlaq Ahmed. Akhlaq Ahmed was born on 10 January 1946 in Dehli. He was a member of a famous singing group from Karachi with two other Artists, Film Playback Singer Masood Rana and Film Actor Nadeem. Akhlaq. He was the prominent playback singer in the Pakistani Film Industry in tenure of 1970 and 1980. He was very popular after he sung "Sona Na Chandi Na Koi Mahal" in Film Bandish (1980), and also he sung "Sawan Aye Sawan Jaye" in Chahat (1974). This great Artist was died on 04 August 1999 due to Blood Cancer in London.